Christmas is nearly here and I’m sure a lot of you are still scrambling to pick up gifts for your friends, family, or yourself. One of this year’s hot gift items has been Nintendo’s nostalgia-fueled repackage of their classic home console, the Nintendo Classic Mini. Also, know as the NES Classic Edition, they’ve been selling out in stores left and right! Luckily we just got some in stock of the Japanese version of the mini classic console. 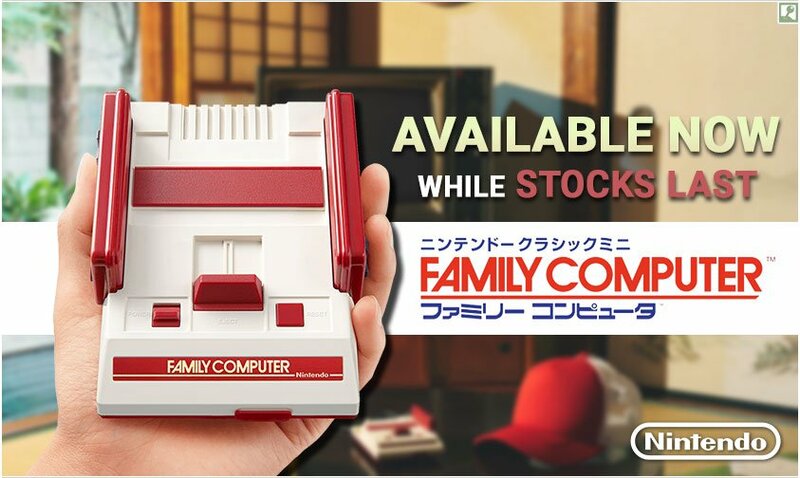 Another difference between the Mini consoles is that while the NES Mini has detachable controllers, the Famicom mini has them hardwired to the console itself, just like the original console. So design, game line-up aside, and of course language, the two consoles share the same output features via HDMI with several aspect ratio and filter options. Also being power by USB means you don’t have to worry about the voltage. You can even power it through your TV if it has USB ports. So if you’re looking for some retro gaming this season you might want to pick this up. The stock is limited so act quick!! How much money is this and the NES mini making for Nintendo again?